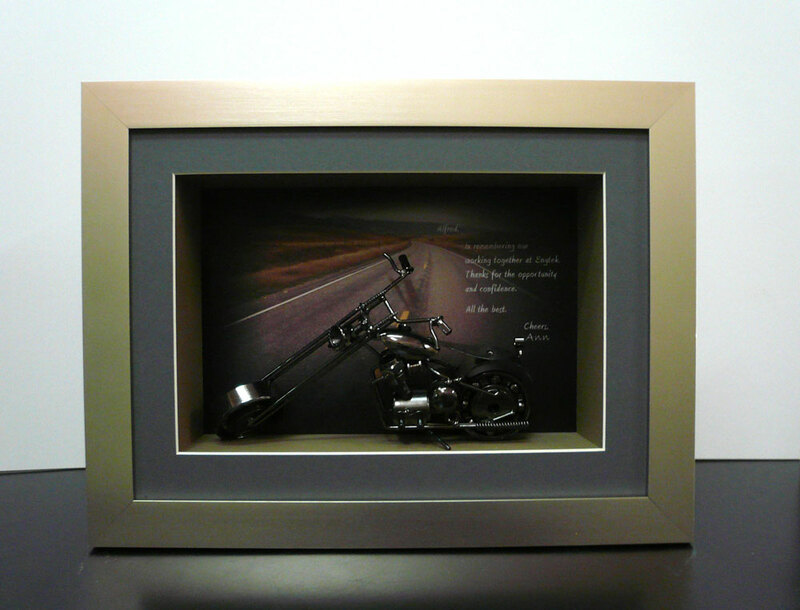 Today let me share with you a frame designed as a gift for a boss. A lady came to us with one of her miniature bike collection. 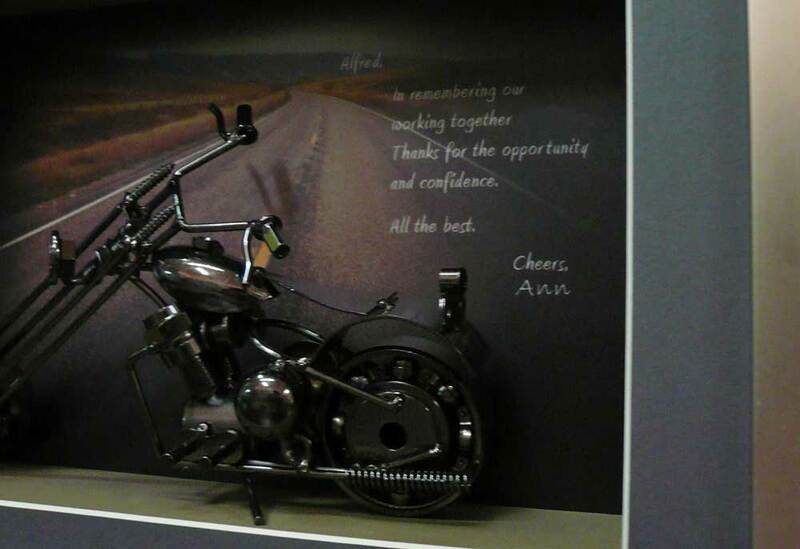 She would like to frame it as special retirement gift for her boss. With her stories, instead of usual colour mat-board or framing material, we had designed a background that comes with her personalised wordings. Hope you like the sharing of our portfolio. Stay tune with us, we are bringing you more different framing ideas and decorative artworks. Please let us know what you think, your comments would make us better. Hope this post finds everyone well. Have a great day!